The memorial is located on the grounds of the Langlade County Courthouse on southbound Clermont Street, south of its intersection with 2nd Avenue, at 800 Clermont Street, Antigo, Wisconsin 54409. The Langlade County Courthouse is listed (as of 1977) on the National Register of Historic Places: Wisconsin. 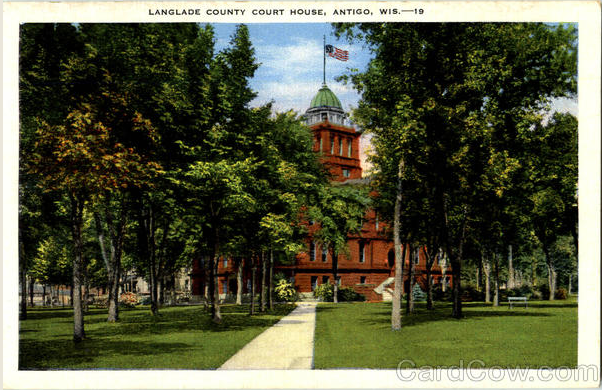 Langlade County Court House, Antigo, Wis.